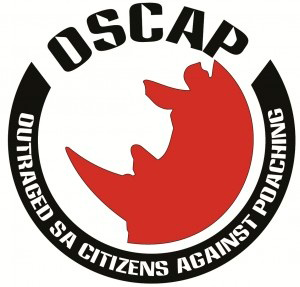 Outraged SA Citizens Against Poaching. We often get asked to give a synopsis of what fuels the poaching in South Africa and this is always a very difficult question to answer because there are so many factors that create the perfect environment for poaching. In some countries it can be associated with civil unrest or political upheaval. In South Africa though I would say that the one big influencing factor has to be corruption. Over the last couple of years it has become glaringly apparent that corruption in just about every sphere of government as well as as in the wildlife industry itself has had an enormous influence on poaching and is one of the biggest reasons why we have not yet won this war. Organized crime flourishes and survives only when they are able to operate with the co-operation of corrupt governments. In many instances we have conservation officials, vets, pilots, police, organized crime units, The Hawks, rangers and government officials that have been implicated in one way or another. This year alone (2015) 8 police officers have been arrested for being complicit in rhino poaching and associated crimes. Some in-depth investigations into arrests that have been made over the last couple of years appears to suggest that there are many dockets that have gone missing. Lack of enforcement is also a big problem. The Department of Environmental Affairs in January published the arrest records from 2010-2015 showing some 1400 arrests being made but when queried about the convictions a list of a mere 100 convictions were received. This shows that there is less than a 10% conviction rate on arrests. The DEA boasts a 60% conviction rate of cases that get to court but it appears that less than 10% of people arrested get to court so it appears that there is probably a 60% conviction rate of only 10% of those arrested. Without consequences for criminal activity there will never be any law and order and without that we will lose this war. Despite all the best intentions and all the Memorandums of Understanding or Implementation Agreements signed little will change until there is the political will to stop this. Political will needs to not only come from the South African government but also the other countries that are involved such as Mozambique, Vietnam, China and Laos to name a few. No matter how many MOU’s are signed, how many boots are on the ground we have or how much money we throw at this problem, it will not go away until such time as there is the political will to have ZERO TOLERANCE of wildlife crime. China did it for the Pandas now we need it done for the Rhinos and all the other wildlife that are now facing extinction.